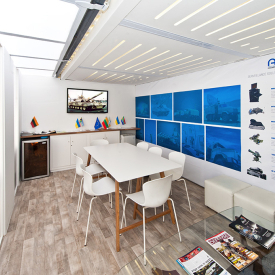 Shipping containers are fantastic structures that can be transformed into mobile experiential marketing tools that create immediate impact and functionality. 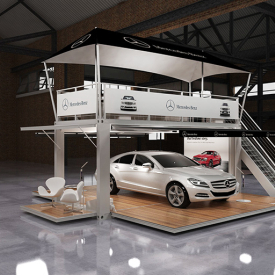 The HOTTBox will allow you to engage & interact with your customers in a personal way that leaves them with an emotional connection to your brand. 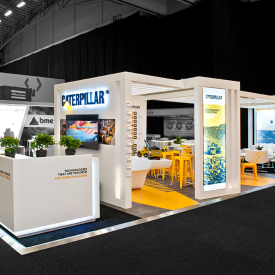 You will be able to reach your customers and utilise a versatile and robust platform that will increase brand image and awareness through engagement at strategically chosen events, allowing your customers to experience your brand benefits. 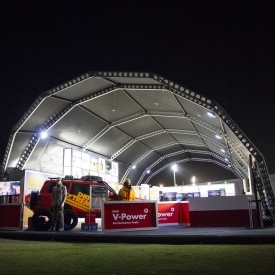 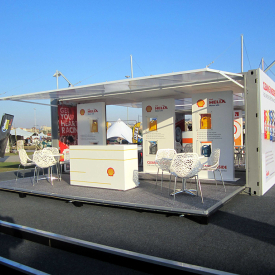 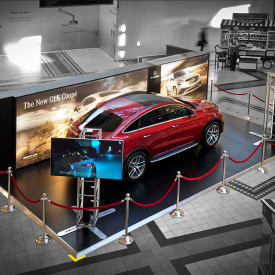 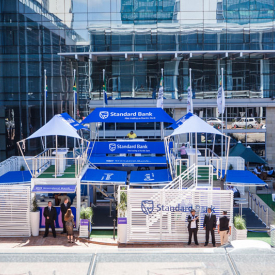 HOTT3D has created exhibition stands, pavilions, displays and roadshows from converted raw shipping containers and also supply units that mimic shipping containers, that are fully hydraulic in their operation and deployment.